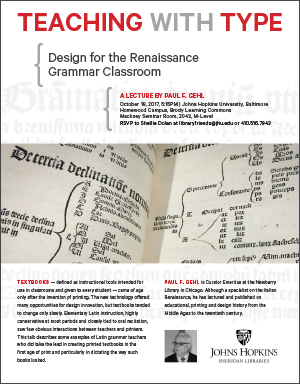 A lecture to be given by Paul F. Gehl, as part of the Johns Hopkins University Fall Special Collections Seminar Series. Textbooks — defined as instructional tools intended for use in classrooms and given to every student — came of age only after the invention pf printing. The new technology offered many opportunities for design innovation, but textbooks tended to change only slowly. Elementary Latin instruction, highly conservative at most periods and closely tied to oral recitation, saw few obvious interactions between teachers and printers. This talk describes some examples of Latin grammar teachers who did take the lead in creating printed textbooks in the first age of print and particularly in dictating the way such books looked. 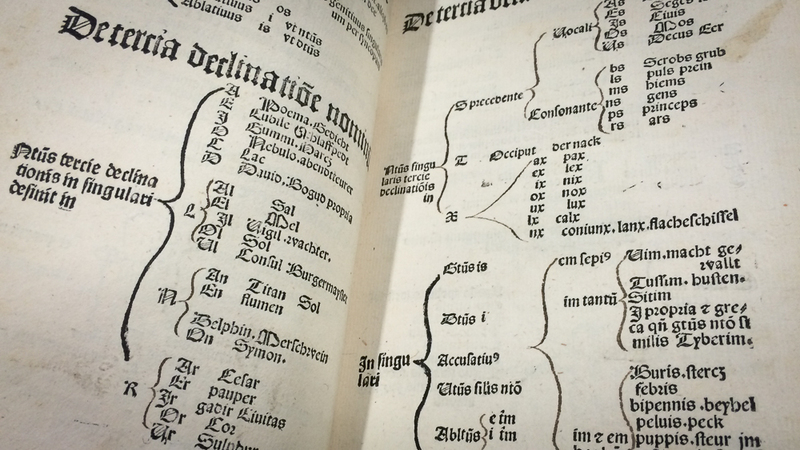 A printer struggles to reproduce manuscript copy for Johannes Aventinus, Grammatica omnium utilissima, 1512. 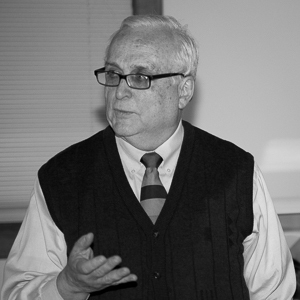 Paul F. Gehl is Curator Emeritus at the Newberry Library in Chicago. Although a specialist on the Italian Renaissance, he has lectured and published on educational, printing and design history from the Middle Ages to the twentieth century. Download and share the poster. Was this recorded or is there at least a transcript? Unfortunately there is no recording or transcript. It was a terrific lecture and well attended, and there may be future opportunities to record it or create an online version.